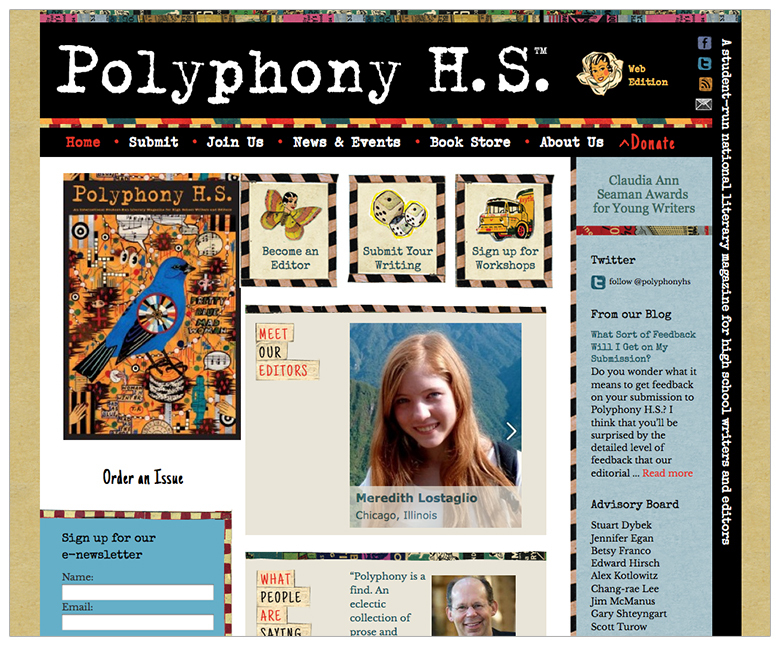 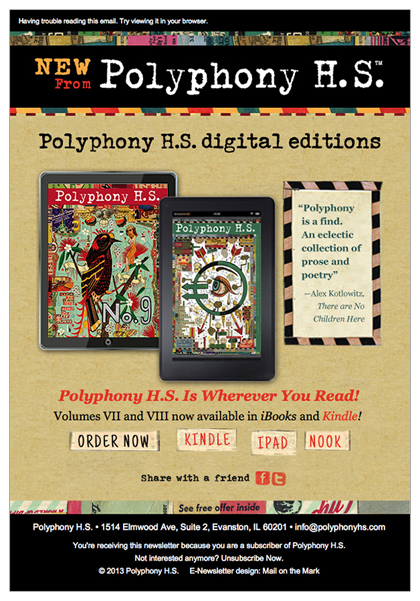 Graphically rich, the web design and e-newsletter for Polyphony H.S.—a literary magazine for high school students—picks up on cover artwork by Tony Fitzpatrick and traditional editorial markings. 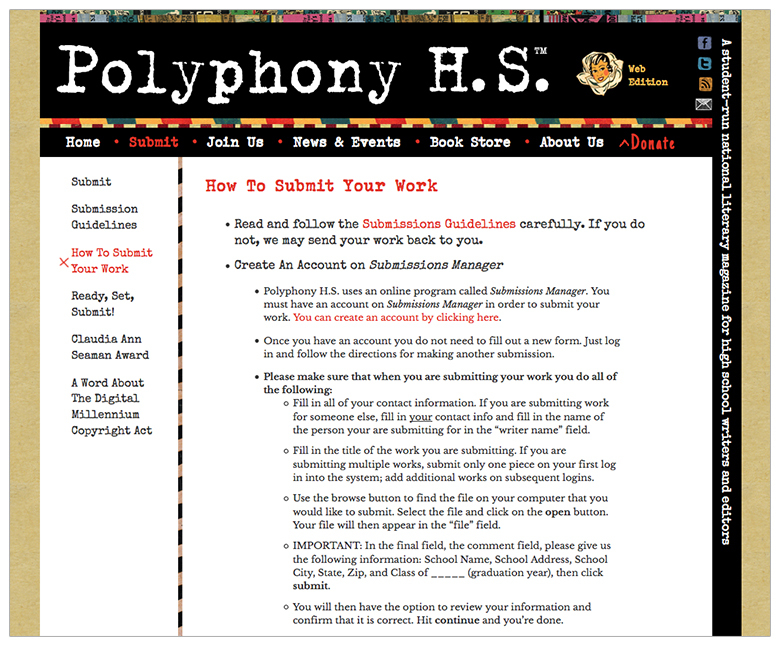 The site is built in WordPress allowing this non-profit to update and add content on their own. 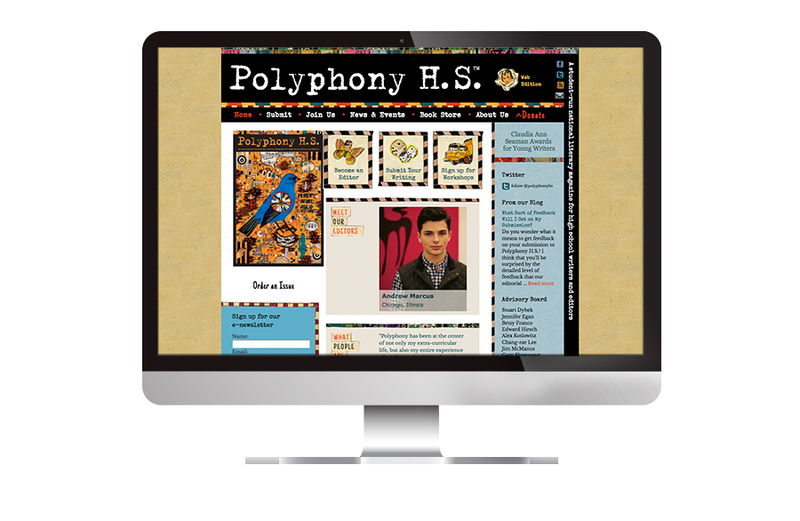 With our customized user guide and training their are able to have maintain the gritty, detailed feel of the site without having to create new artwork.